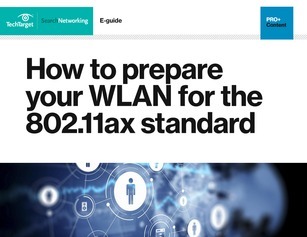 Now available for all members: How to prepare your WLAN for the 802.11ax standard. 802.11ax is the next major WLAN standard. Loaded with new, sophisticated features, it makes 802.11.ac look simple. If you don't understand the finer points of .11ac and high-density Wi-Fi, .11ax is likely to blow your mind. Learn what to expect from this standard and get up to “speed” on the tech, so you are in the know. Complete our Wired and Wireless LAN Survey for your copy!